What should you do if your boss threatens to fire you? Maybe you are the one considering quitting and you are wondering what to do. What should I do? Help! My employer threatened to fire me! If your employer threatens to fire you, don't panic. Wait until they have calmed down and ask them to identify the main area you need to improve. Listen carefully and do NOT argue, explain or talk back. Tell them you are sorry about your mistake. Thank them for giving you feedback and tell them that you will do your best to improve. If your employer does terminate you, WAIT until you are in the Arrow office BEFORE signing any settlement papers. We will review the settlement and ensure that you receive everything owed to you. 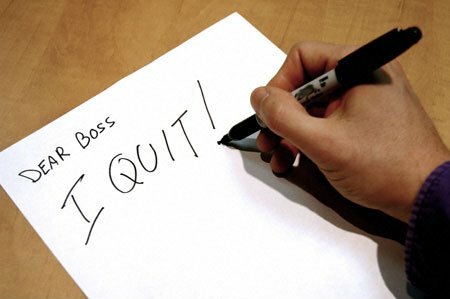 Sooner or later, almost everyone wants to quit their job. Employers are sometimes hyper critical and treat helpers in an insensitive manner. Workers cry and say "I'm a human being too!" What steps have you taken to resolve the problem? Often helpers want to resign over issues like not enough food or rest, but they have NOT YET brought the issue up to their employer. If you don't know how to resolve the issue, ask Arrow. We've helped many helpers resolve big problems and keep their jobs. How much is this going to cost? If you find a new employer today, you will still be a minimum of 2 months without a job and 3 months without a salary. How will you pay for school fees? Your house payment? Loan payments? What will happen to the balance of loans if you miss payments? Changing employers can cripple your efforts to get your family on solid financial ground. Do you have a new employer yet? The Chinese have a saying "keep riding the ox while looking for the horse." Don't resign one job until you have found a new employer and they have signed contracts. offer to resign "If you don't like me, then I should resign" etc. EVER sign settlement agreements or accept air tickets unless Arrow has read the details and told you we think it is a fair reasonable settlement.